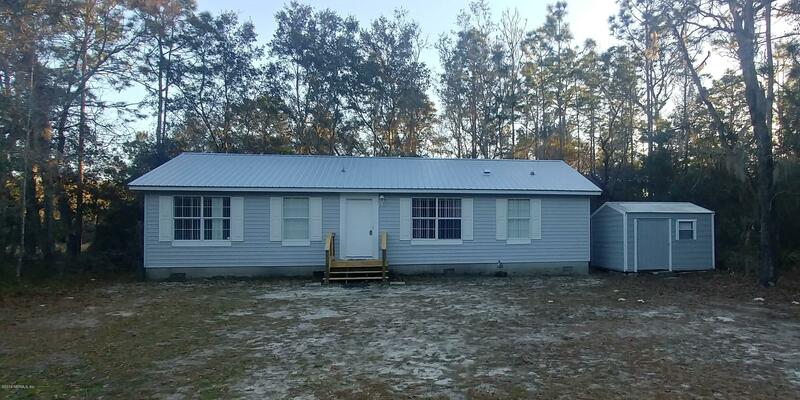 Newly refurbished 3 bed/2 bath modular home on nearly .5 acres! BRAND NEW roof! Brand new carpet throughout! Freshly painted living room! New appliances! Newly constructed front and back porch! Incredible, large walk in closet in master bedroom. Nice 10x12 matching shed for storage.